The Building 340 project was comprised of replacing the aging electrical normal, standby and emergency distribution systems serving the facility. Normal power equipment replacement started at the 13.2 kV level and extended through the branch panelboard equipment. Standby and emergency systems distribution equipment replacement included automatic transfer switches and other equipment from the generators down to the branch panelboards. 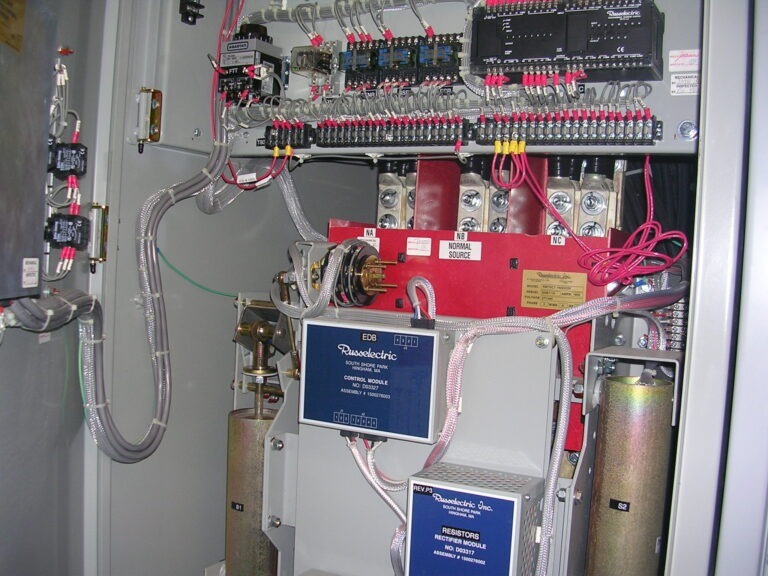 Included in the standby and emergency distribution upgrades was a complete replacement of the paralleling controls. The existing normal power system had two utility feeds with a 5.3-MVA capacity. The existing standby and emergency systems consisted of three 900-kW, 480-volt generators. The existing electrical rooms had very limited space in which to add new equipment before replacing the existing aging equipment. A majority of the power distribution system serves data center and mission critical operation equipment that require zero power outages. The non-mission critical and non-data center building equipment could not be without power for more than 15 minutes. HAWA Inc. provided design documents that included extensive cutover and phasing plans to create a seamless transition from the aging power distribution to new distribution equipment. Great detail went into configuring the means of providing normal and emergency power to the facility while the existing equipment was removed and the new equipment installed. An (N+1) emergency power distribution system was designed for use during phasing and cutovers to create a redundant and more reliable standby system.